GRAD TRIP! During my last year of undergrad in 2007 the only thing I could think about more than being finished at UofT was the graduation trip that would follow. When most people think of graduation trips, what often comes to mind is backpacking for a month or two through western Europe. Not me. No offense to anyone who has, is, or will be taking that vacation, but after living in the west all my life and spending 4 years in a mainstream knowledge institution, learning about the historical sources of degradation, classism, global commerce and society, I simply couldn’t enjoy touring the spoils of colonialism. But that’s just me. Instead, I decided to take the opportunity to visit the land of my ancestors and experience the place in which my physical features originated. Other than the people of the First Nations who are truly the only authentic ancestors to the land we know as North America, everybody here has come from someplace else, whether in their lifetime or in that of their bloodline. The motherland, in my case, is the Philippines. I am a Filipino born and raised in Canada, however, with knowledge of self and knowledge of right and wrong I’m not blinded with patriotism. I know about Canada’s history and how and why people who look like me are here. My community still experiences considerable discrimination and marginalization to this day, both individually and systemically, and I am not too ignorant, naïve, privileged or mentally assimilated to recognize it. Like many others who are the first descendants of former immigrants I grew up as a racialized being; always wearing my ethnicity on my sleeve. And so, strapped with a critical mind, I first wanted to experience my people’s own culture and history before I did anyone else’s. They say the deeper the roots the higher the reach, and I was on a quest like Alex Haley. Plus, why not inject my high value Canadian currency into an economy that essentially needs it a lot more. As it was my first time, when I touched down at the airport it was immediately a surreal experience. My initial reaction was one of amazement because for the first time in my life I was no longer a “visible minority”. Dumbfounded I reveled in the fact that everybody looked like me; I had nothing to prove. It’s hard to articulate feeling a sense of natural comfort in a place you’ve never been before. Metro Manila is a booming metropolis reminiscent of New York City. It’s massive. With 17 boroughs and a population of over 11 million, I was immediately overwhelmed. The highways and streets are rammed and everything’s bustling. Cruising through the city you can see all types of living on a spectrum that Toronto can’t offer. Like 90% of the world, most of the relationships and dynamics between the rich and the poor are rooted in colonialism, and the omnipresent inequality is an aspect endemic in our neo-colonial world that can be seen everywhere on the planet. The Philippines, sadly, has had to deal with 3 major oppressors (the Spaniards, Japanese, and the Americans) over the last 400 years, and is currently being exploited by cancerous neo-liberal trade policies and US-backed puppet politicians. From “high” society to the slums, I experienced all. Through friends and family I was privileged to pass through some of the most lavish places, from gated communities to the biggest mall in all of Asia. At the same time, through friends and family, and through volunteering with local NGO’s and advocacy groups, I was also able to meet with different community leaders in various neighborhoods to learn about and visit disenfranchised areas representative of the average Filipino condition. 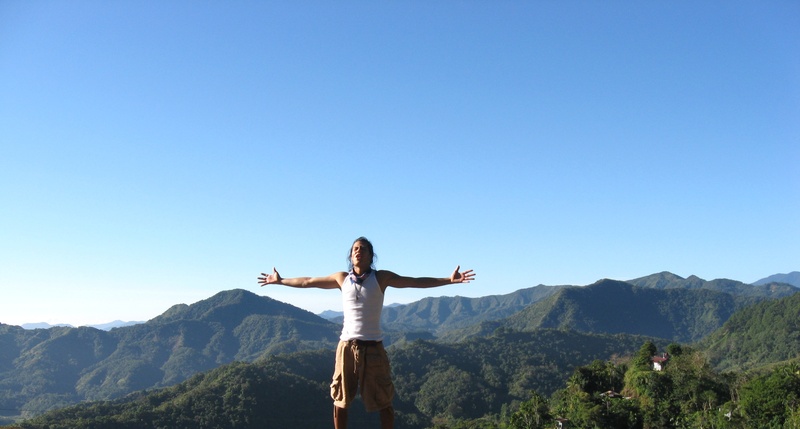 I was also fortunate to travel around the country a little bit, including a backpacking expedition through the northern cordillera wherein I encountered the most spectacular natural sights I could ever have dreamed of: from hiking over a mountain into a small village without roads, to swimming underneath tropical waterfalls to treading through ancient caverns. Not to mention exploring serene and isolated mountain-top cities and towns, to drinking Ginebra (a Filipino liquor) with some local Ifugao (indigenous peoples), to lying on breathtaking paradise-esque white sand beaches. 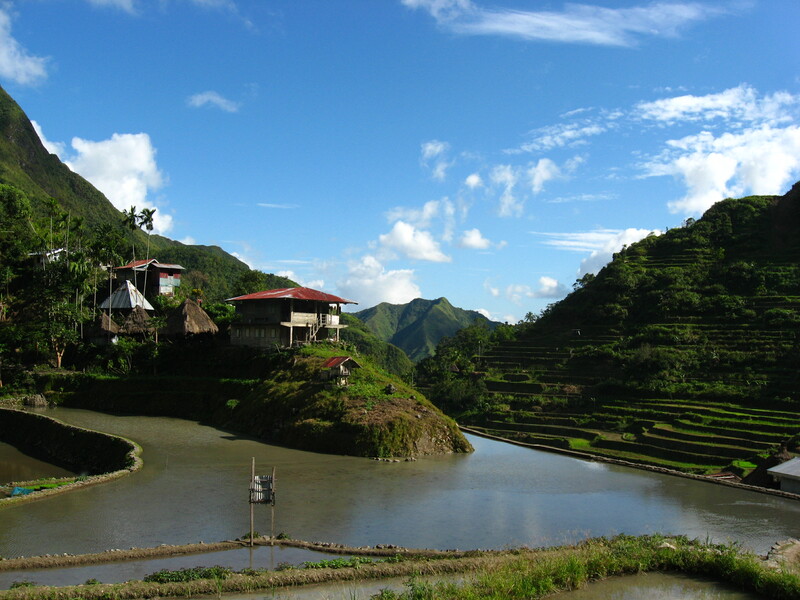 The highlight was learning about and observing first hand the stunning, magnificent and legendary rice terraces of the Banaue region, carved into the mountains thousands of years ago by my own ancestors. 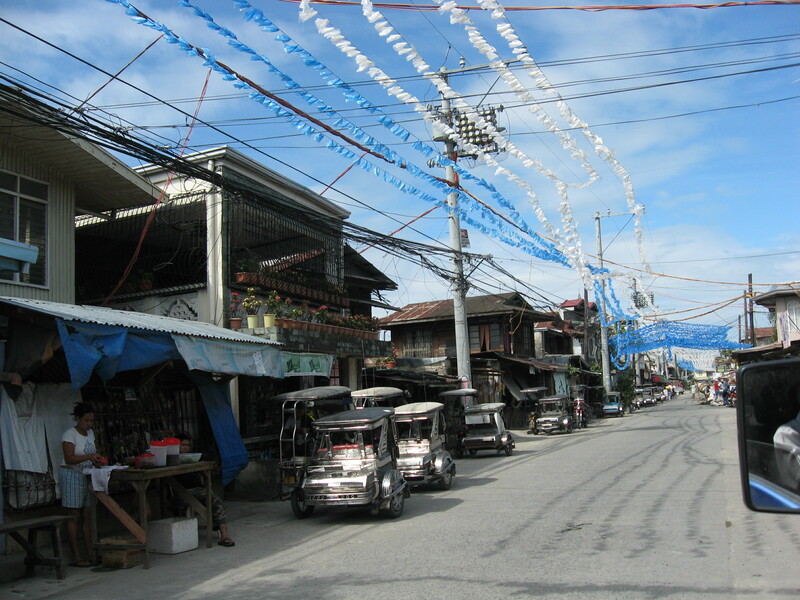 All in all, the most impressive aspect of the Philippines to me was the people. Although intense at times, there was generally a friendly and laid back atmosphere and the hospitality was truly unparalleled. No matter where I was I could always be greeted with a genuine smile, even in the areas with the harshest living conditions. I could also find live music spots with live bands seemingly anywhere on any night, with an undeniable musical quality that was unbelievable. From the fiestas to front porches to the ubiquitous basketball courts, I was able to kick it and politic with people who genuinely appreciate life and sincerely find solace in the intangible and immaterial aspects of existence. To visit new monuments, landmarks and gorgeous natural scenery is one thing, but to do so while seeing and realizing your own personal attachment is an entirely new life encounter. What I brought back with me was a richer perspective. I came back with more than pictures and memories; I received understanding, fulfillment and growth, and that’s something a million dollars or a token luxurious vacation could never buy.